First sunspot in weeks is still related to solar cycle 23 | Watts Up With That? Calling cycle 24, calling cycle 24……where are you? increase. This may end quiet Space Weather conditions. The first new sunspot in weeks has emerged today. The spot that has emerged is small and on the equator, so it appears that it is a cycle 23 spot rather than one from the cycle 24 that is gave one spot on January 8th, signaling a start of cycle 24, but has given no cycle 24 type spots since. Based on what we know about the sun, a cycle 24 spot would be reverse polarity to cycle 23 spots and high latitude. The longer cycle 24 continues to delay producing its spots heightens the concern that we may be in for a longer inactive period on the sun, such as a Dalton type minimum. A thought occurred to me. Given that all of the sunspots seen recently during our solar minimum are very small, I wonder if they could be resolved at all with the primitive equipment available during periods like the Maunder Minimum? Today we have satellites and advanced solar telescopes with hydrogen spectra filters that are available to amateurs, so catching any sunspot, even if small, is now easy. In fact this sunspot was was first noted by an amateur observer, Howard Eskildsen, in Ocala, FL, showing that amateurs still have a role in science. It makes me wonder if an extended minimum really isn’t an absence of sunspots altogether, but just an absence of larger easily observable sunspots. It is possible that primitive equipment of the period could not easily resolve smaller sunspots. Guess they don’t know as much about the sun as they thought. Humility is the big thing missing in science. I hear astronomers talk about Venus and it’s history as if they actually know anything about it. But they’re quick to call it a runaway greenhouse effect, with ZERO knowledge of the planet’s composition even 100 years ago, while ignoring the fact that it’s 27 million miles closer to the sun than the Earth, so basically there’s no way for us to learn anything about Earth by studying Venus. Here is a TSI reconstruct from Leif Svalgaard’s site. Interesting how much it varies accounting to who measures it. I remember Sagan’s comment on Venus: “Observation: Nothing. Conclusion: Dinosaurs.” No quite fairly phrased, but it makes the point. While a LIA would be politically convenient aroound now, we really can’t root for it in any good conscience. A serious cooling would probably cost far more trillions and far more lives than global warming at its worse + the futile, expensive thrashing around thrying to avert it. What i wouldn’t mind seeing is a nice, slow 0.2C-to-0.4C cooling over the next three decades, not enough to cause much damage, but enough to keep the “heat” off. Sun plays a huge role in the Earth’s temps, even though the gods of the IPCC say it doesn’t? I could almost Hope we do get a Dalton Minimum. That would take the onus off the US, Canada, Australia and others to pour trillions into solving a FAKE crisis- which even the IPCC says, a 100% effort on our parts would not affect temps more than .2C- and allow us to get back to improving technology and cleaning things up Without bankrupting an entire generation. I don’t like the cold. But I’ll take it over the world the goreacle and his want, any day. would have to be extremely small. The next little while is going to be very interesting. When we look at the cycles in sequence (Dr. Landscheidt’s observation) they seem to group in cycle sets of 5 (whether counted from max to max or min to min) and seem fractal, i.e., at various levels of magnification the graphs described are self-similar. At any rate I’m beginning to expect as Hathaway at NASA predicted, cycle 25 to be smaller than 24, whenever it arrives. As impressive as Anthony’s step in decline of the graph of the average Geomagnetic Index was, some posts back, we’re in a decline of activity that will progress through the next cycle at least. One complicating factor re: whether the Maunder mimimum was undercounted is Svensmark’s theory. Cloudy days could have been the rule during the period. The same thought came to my mind, Mr. Watts. There was a situation several weeks ago where a small spot appeared and was gone within 24 hours and I remember thinking to myself if today’s sunspot numbers really can be related to those of the past since we are likely seeing many that were missed back then. I wouldn’t think the sun was under constant observation then as it is now and someone simply taking a glance would miss spots that can be seen today. Wait! That’s not a sunspot! That’s the Enterprise doing another time-slingshot around the sun, with a couple Birds of Prey in pursuit! I hope that you do pursue the question of whether the zero sunspot earlier periods were actually small/low sunspot periods which escaped unaided observation. I would like to read what you learn. I think you have an extra “not” in your last sentence: “…could not easily resolve” Larger sunspots seems to be the subject of that sentence. Did you guys know you can actually “listen” to the sun spot cycle? If you know any Amateur Radio buffs out there get your hands on a 10 meter radio or even a CB radio. These radios pick up what is called “skip” or static caused by solar winds hitting the atmosphere and actually changing the make up of the upper atmosphere and causing radio waves to refract off the atmosphere instead of just passing right through. ( Does that sound familiar to anyone? Radiation being trapped in the atmosphere, but without CO2 involved? ) These refracted radio waves combine into a “static” soup you can hear on the HF Band (25 Mhz – 30 Mhz). Anyhow, I owned a radio shop for about 15 years and went through these cycles and learned I could accurately predict the level of solar activity on an almost daily time scale. For the last few years there has been no skip activity at all, some of the old timers I talked to said it’s been the longest dry spell they can remember, in a long time. So I was just curious has anyone ever done a paper on how the sun and solar activity changes the atmosphere to perhaps hold radiation in regardless of GHG Levels? I found this Wikipedia page on the atmosphere of Venus to be very thought provoking. The first thing that jumped out at me was that the clouds of sulfur dioxide and sulphuric acid reflect seventy five percent of the solar energy that falls on the planet so even though it is much closer to the sun, it gets less solar energy at the surface than Earth. I should imagine that this provides a quite large greenhouse effect on the energy trying to leave the planet as well. Yes, the atmosphere is 96% CO2 but the other thing that leapt out was the pressure at ground level of 93 bar and an intriguing thought came to mind. I remember when I was a kid playing with a bicycle pump that compressing a gas heats it up. Is it possible that some of the high surface temps on Venus are because of that pressure? I keep thinking that I’m being dumb and that the heat generated by the pressure has dispersed, but then I think of that ball of hydrogen that collected at the centre of our solar system, and that the heat generated by the compression of that didn’t seep away. Instead it got hot enough to cause fusion. Perhaps some of the smarter commentators here can put me right. Either way, I don’t find the circumstances of Venus, what with the polar vortices, 100m/s winds, giant Hadley cells and those clouds, an obvious example of runaway greenhous effect. It was settled some time ago. “History” began in 1979. Where is Bishop Ussher when we need him? REPLY: I don’t want fame, fame is painful. A complete and thorough accounting of the surface temperature record is all I want. The theoretical dry adiabatic lapse rate for Venus is about 10.5 K/km. It varies a little because the specific heat of CO2 varies with pressure and temperature. The average measured rate is about 8.5 K/km. The lapse rate applies from the tropopause to the surface and that is a distance of about 62 km. So the “adiabatic” component of temperature is no less than 510 K. But this is in addition to the grey-body temperature, which is about 228 K caused by solar radiation incident at cloud top level. The total is 738 K minimum. Measured surface temperature is around 740 to 770 K. You get this temperature without assuming a greenhouse effect. If you changed the 92 bar Venus atmosphere to a 92 bar N2/O2 atmosphere the same logic gives a surface temperature for Venus of around 700 K.
So one could conclude that the canonical greenhouse effect used widely by alarmists to scare us in terms of the risk of a runaway greenhouse on Earth is a myth. There is no runaway greenhouse effect on Venus, where the atmosphere is about 96% CO2. Why would one occur on Earth at 560 ppm CO2? I don’t wish to sound rude, but you should understand that paper before you start commenting on the (runaway) greenhouse effect on either Venus or Earth. Top off preps, go long on food. Maybe someone could explain the differance between the “greenhouse effect” on Venus and the “greenhouse effect” on Mars. Both have a large amount of CO2 in their atmospheres. But only one has a heat trapping cloud. What would happen if that cloud was removed? I just can’t resist asking where all these greenhouses run away to. Anthony: I guess I’m the only one to catch the Toody and Muldoon reference…or at least to acknowledge it. REPLY: Well Bob, I’m afraid I missed it too. What is it? Sorry, just doesn’t register with me. REPLY: Bob, you know what is funny? I never knew the names of the characters, but I knew famous phrase, which I used in the subtitle that you picked up on. The TV show was just a couple years before my time, but like old TV commercial marketing lines of the 60’s I never forget the phrase used in popular culture. GW is the thin edge of the wedge for socialism. Socialism is far more deadly than cold weather. Nah, I think I’ll just settle for a downswing on the PDO. Say a neat drop of 0.4C and then a nice steady 3-decade interval without an upswing. Is it too late to swap my carbon credits in for coal . . . ? Another thought that has crossed my mind: I believe I have read in the past that ice ages have come on rather suddenly. By this I mean we could see massive glaciation within 10 years. What are the plans for countries such as Canada and the Scandinavian countries? Have they considered a plan for mass migration of their populations to someplace to the South? If the ice age would come as quickly has I have read it would, this would be a real possibility and we are nearing the time of average interglacial duration. Thanks to “The Day After Tomorrow”, we can anticipate flash freezing being attributed to GW as well. Remember – there’s NOTHING it can’t do. I agree, Evan. Let’s leave putting out the sun to the “No-Nukes” crowd. As soon as they realize that it’s a runaway nuclear reaction they’ll lobby to have it put out! Ah, one of those “generational” things. Yes, Fred Gwynne and Joe E. Ross played officers Muldoon and Toody in “Car 54, Where Are You?” Last year, my son emailed me a joke that mentioned Dr’s “Howard, Fine, and Fine” and I corrected it to “Howard, Howard, and Fine” (The Three Stooges). Either way, he didn’t know why it was supposed to be funny. I doubt that much of the world is any more prepared to deal with an LIA-like cooling now than they were when the last one hit. Cooling periods tend to be civilization altering (if not ending) events while warm periods are times of growth and prosperity. How did Rome fall? A sea level rise drove coastal people inland during a relatively cool period. (Note that the Warmist claim that sea level has been stable for a couple thousand years). One feature of the LIA was that witches were blamed for bad weather and, if you boiled your clothes before a bad storm, you could be accused of “weather cooking.” Today, if you release CO2, you are accused of “killing the planet.” The cases are remarkably similar to me. Where is the reference to massive instant glaciation? Modernity will protect us from the disasters of the LIA (esp. regarding food). But we may have to stop paying farmers NOT to grow the stuff. we can anticipate flash freezing being attributed to GW as well. Remember – there’s NOTHING it can’t do. Don’t forget the AGW GCM! Therefore: Shut up and go away. As soon as they realize that it’s a runaway nuclear reaction they’ll lobby to have it put out! I hear there’s danger of a meltdown. Fortunately the UDCs are already in the warmer areas of the globe, and the DCs are much better equipped to handle it. Nonetheless, a serious cooling would be a damn lot worse than a serious warming, and we’d probably “lose” a lot more useable land to ice than what we’d lose to the sea in the case of serious warming. Ostrogoths, Visigoths, Vandals, Scythians, Franks, and Huns, oh my? “Howard, Fine, and Fine” and I corrected it to “Howard, Howard, and Fine” (The Three Stooges). Yes, of course. I’m not overlooking the Barbarian; he plays a key role in the “civilization changing” event. Nothing much happens if weather makes life harder in unpopulated lands. I’ve read that in the mid-1800’s, a quarter of the population of Sweden emigrated to the US due to the LIA. People have to go somewhere they can live when the weather turns bad and stays bad. That’s a big reason the US received a massive influx of immigrants in the 1800’s. If weather heads south, people head south, too. How prepared are the DC’s for a population shift southwards, if this is the beginning of the next solar minimum? And if ice sheets started advancing down from the pole, how long would the US-Mexican border stay inviolate? Hopefully, we are not close to that. If AGW were real, we should be ensuring warming; it’s better than cooling. > sunspots altogether, but just an absence of larger easily observable sunspots. No need to wonder, you can look this up, it’s been written up in relation to the Scottish observations that first defined the sunspot cycle. There are a number of articles documenting the number of observing days lost during the ‘little ice age’ due to bad weather, and the fact that ground based observers at the time were unable to see small sunspots because of high dust from volcanos. And the eruptions that had occurred weren’t known about at the time (because they happened on the other side of the world). Rapid glaciation on large scale (continental) can’t happen. It takes ice accumulation over millenia. What may occur is rapid cooling or warming. There is a general assumption on both sides of the debate that climate change happens slowly. Even in the warmist rhetoric, when they talk about rapid warming they mean decades. Well, we don’t know how fast climate can warm or cool over 1 or 2 years. Exstrapolate the cooling of the last few months out a couple of years and you will get a truly alarming number with unimaginably catastrophic consequences. This isn’t rhetorical excess: I think the collective failure of the media, government, scientists, etc to recognize and plan for this eventuality will be viewed by future generations as an appalling crime. I beg to differ…… 50 years+slight warming trend=268 feet of ice……. And of this current winter the rate of accumulation in Greenland is accelerating. I would speculate here that the time frame involed is a couple of hours and it was replicated in the Southern Hemisphere at the same time. So the P38 crashed in 1942 and fifty years later it was covered with 268 feet of ice. That is 5 feet of ice per year or about 60 inches of water equivalent. Mountain zones in the temperate regions can get 200 inches or more of water equivalent, but 30-60 is a good number most years. Here are the current Cal numbers. Glaciers in Canada advanced 2-4 Meters/year during the LIA in this study. I agree. Massive migration from Scandinavia from glaciers is BS even if we have a new Maunder Minimum. But a cooling occasion like that will be very influential on many people’s life, and in poor countries it will mean a large catastrophe! Also glaciers expand at the occasions of little ice ages. The slow path to a new ice age, within maybe 15000 years, has to consists of lots of small ice ages during some centuries and intermediate warmer periods. Sunspot 942 was on 22nd Feb last year. We have just had sunspot 983 – so in around 12 months we’ve had approx. 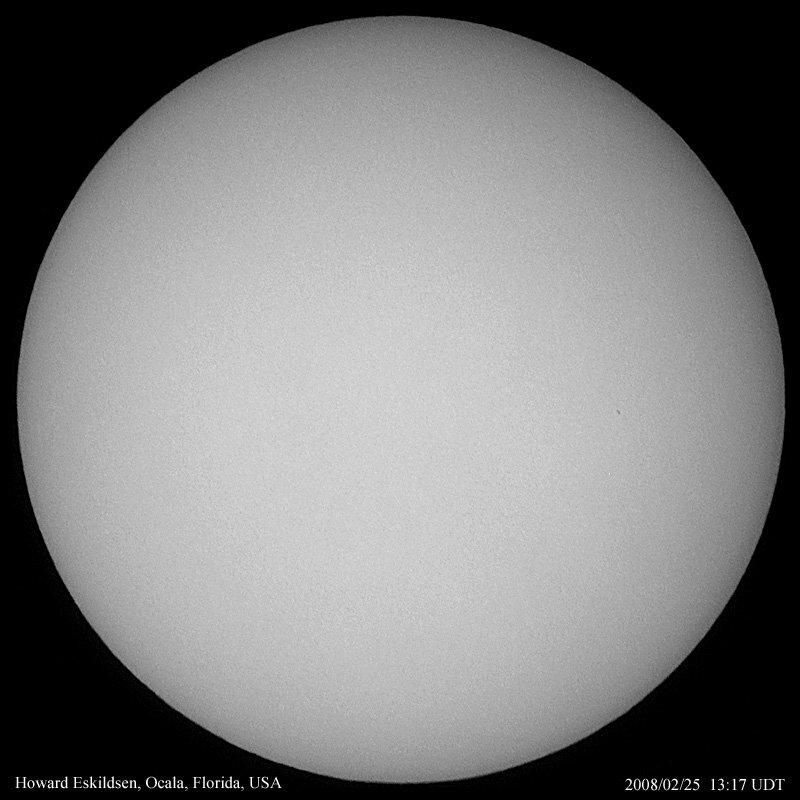 40 sunspots – on average 1 every 9 or so days – no wonder the world is cooling. If you look at the last 6 months we’ve had around 14 sunspots (sunspot 969 on 25th August 07) – or one every 13 days. Solar flux back under 70 again. Check out Erl Happ’s latest on the Svalgaard #3 thread at CA. The sun is very sultry and we must avoid its ultry-violet rays. You may be up to something about those small sunspots. It is in the middle of the sundisk and is so small that it probably wont even get a number. Is it associated with the dying cycle or with #24? About sunspot observations: you are quite right about observations of sun spots during the Maunder minimum. Observations were done without instruments by looking at the sun early in the morning through morning fog. That’s how the discovery was made in the first place (by monks undoubtedly, who had to get up early; observations are also known from China). But you can only see the largest ones. However, the varying solar activity leaves its marks in C14 deposited in trees and other radiotopes as well, i.p. Berillium. These are used as proxies to reconstruct the solar activity in the past and go back a few thousand years. The risk a colder period will soon arrive is for my feelings much greater than an increase in global temperature. The effects of a decrease in global temperature will certainly destroy an important part of the agriculture production followed by an decrease in economic activity and general global impoverishment. Anyhow, In Europe they are still going to spend billions an billions of Euro’s to fight a coming warmer period in stead of using that money to be prepared for colder temperatures. Did anybody hear about a reconstruction of Galileo’s telescope so we can compare actual sunspot observations with that old telescope and with modern instruments and satellites? Then we can have an idea about the translation of sunspot activity in old and modern days.